No matter where you live, who your favorite team is or what kind of sporting events you are most into, Xfinity has the sports package you are looking for! You no longer have to worry about missing a game when you subscribe to one of these sports packages from Xfinity. 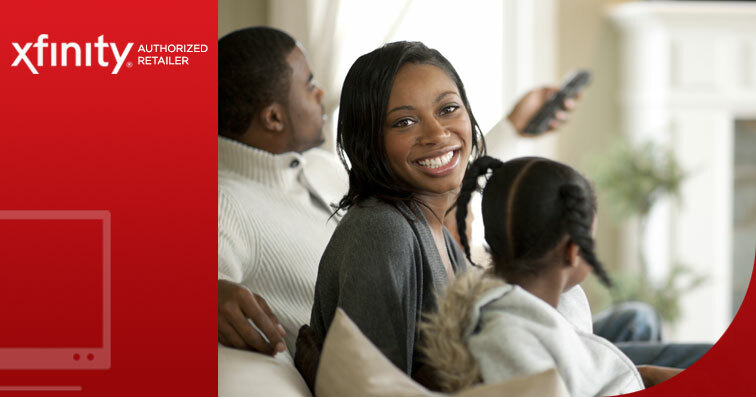 Whether its baseball, hockey or football season, Xfinity has your back. 45 SEC football games, over over 160 basketball games from the men's and women's divisions, 75 baseball games and a multitude of other events from across the SEC's 21 sport divisions, this is the package for you. You can also enjoy other programming that includes studio shows, original content like SEC Storied, spring football games, signing, and pro days with this one package. Don't forget the hundreds of additional live sporting events available at your pleasure! Call to Order SEC Network Today! Are you a Jack-of-all-trades when it comes to sports? The Sports Entertainment Package includes coverage of all major sporting events with beIN SPORT, NFL RedZone, ESPN Goal Line, and Fox College Sports! With 80 out-of-market games a week, you can get the most out of baseball season. You can also enjoy multiple games at once! You’re “safe” with MLB Extra Innings! Get live regular season games as well as original programming and analysis with the MLB Network. This is baseball programming complete with everything avid baseball fans long for. MLB Network is included in Xfinity’s Digital Preferred Package. NBA League Pass puts all the courtside action right at your fingertips with NBA League Pass on-the-go. Watch up to 40 live games from around the league every week at home or on your mobile device. The days of missing your favorite team’s games are over when you order NBA League Pass from Xfinity. Call to get NBA League Pass Today! Get 24/7 NBA coverage with NBA TV – Watch live games or catch up with game recaps from Xfinity On Demand™. NBA TV is included in Xfinity’s Digital Preferred Package. Get this ultimate hockey package that covers up to 40 out-of-market games a week and you’ll have the best seat in the house all season long. Don’t miss out on any of the action as your favorite NHL teams compete for the cup with NHL Center Ice. Call Us To Get NHL Center Ice Today! Experience all of the big hits and amazing shots with NHL Network’s 24/7 coverage. This network is dedicated to live games, highlights and hockey news. NHL Network is included in Xfinity’s Digital Preferred Package. International competition at its finest. Get 24/7 news coverage, analysis and highlights from around the world all on one network. Get This Channel In Your Sports Pack - Call Now! MLS Direct Kick provides up to 245 Major League Soccer regular season games plus select playoff games. Don’t miss any of the soccer action! Call to MLS Direct Kick Today! The Golf Channel gives you live coverage in HD from PGA, LPGA and the Champions tournament. Whether you want live action or recaps, Xfinity has you covered with the Golf Channel and the Golf Channel On Demand™. The Golf Channel is included in XFINITY’s Digital Preferred Package. Order the Golf Channel Today! Get year-round, 24/7 coverage of everything football with NFL Network. You also don’t need to worry about missing any of the action with NFL game recaps on Xfinity On Demand™. NFL Network is included in Xfinity’s Digital Preferred Package. Get this channel and more! Call to order today! Get every touchdown from all Sunday football games on NFL RedZone. Catch the most exciting moments from every game as they happen. NFL RedZone is included in the Sports Entertainment Package. Download XFINTIY Stream and watch your favorite sports and teams on the go, wherever you are! ESPN Full Court’s coverage of college basketball is hard to beat. With up to 30 regular season games each week, you won’t be missing any great match-ups from top conferences around the country; ACC, AMERICA EAST, ATLANTIC SUN, BIG 12, BIG EAST, COLONIAL, HORIZON, MAAC, SEC, SOUTHLAND, SUN BELT, WAC. Call to place your order with a live agent! ESPN Buzzer Beater is dedicated to college hoops fans and provides up-to-the-minute commentary and highlights from ESPN experts. ESPN Buzzer Beater is included in the Sports Entertainment Package. FOX Sports 1 and NBC Sports Network put you in the driver’s seat with NASCAR RaceDay, NASCAR Victory Lane, NASCAR Race Hub and IndyCar® races. FOX SPORTS 1 and NBC Sports Network are both included in Xfinity’s Digital Starter Package. Get the Motor Sports Package Today! *Restrictions apply. Not available in all areas. Limited Basic service required to receive other services. Call for restrictions and complete details. © 2016 Comcast. All rights reserved. 3D viewing requires 3D TV, glasses and compatible set top box. Xfinity service not available in all areas. Pricing and service subject to change. Not all programming available in all areas. Check local listings for channel number in your area. Sporting events are subject to blackouts according to league broadcast rules. Restrictions apply, not all programming and services are available in all areas. Pricing and Programming is subject to change. An additional monthly charge applies for Sports Entertainment Package. On Demand selections subject to charge indicated at time of purchase. Contact Comcast for program availability and service details and restrictions. To receive HD benefits and features, an HD television (not provided) and HD equipment is required. A monthly equipment fee applies. HD programming limited to the level of video service selected and to the programming provided to Comcast in HD format by programming provider. Not available in all areas. Equipment, installation, taxes and fees, including Broadcast TV Fee (currently up to $1.50/mo.) and similar program recovery fees, [and the Regulatory Recovery Fee and other applicable charges (e.g., per call or international),] extra. Basic service subscription required to receive other levels of service. Money-back guarantee applies to 1 month recurring service and standard installation charges. Please call your local Comcast office for restrictions and complete details about service, prices and equipment. © 2017 Comcast. All rights reserved. All other trademarks are the property of their respective owners. Blackouts and other restrictions apply. NHL, the NHL Shield and Center Ice name and logo are registered trademarks and NHL Network name and logo and The Game Lives Where You Do are trademarks of the National Hockey League. NHL and NHL team marks are the property of the NHL and its teams. © NHL 2017. All Rights Reserved. Blackout restrictions and other conditions apply. The NBA and NBA member team identifications are the exclusive intellectual property of NBA Properties, Inc., and the respective member teams. ©2017 NBA Properties, Inc. All Rights Reserved. All photos courtesy of Getty Images/NBA Entertainment. © 2017 NFL Enterprises, LLC. Team names/logos/indicia are trademarks of the teams indicated. All other NFL-related trademarks are trademarks of the National Football League. © 2017 HBO Pay-Per-View®, a division of Home Box Office, Inc. and Golden Boy Promotions, LLC. All rights reserved. HBO PPV®, HBO® and related channels and service marks are the property of Home Box Office, Inc.
SHOWTIME® and related marks are trademarks of Showtime Networks Inc., a CBS Company. Restrictions apply. Not available in all areas. Limited to residential customers. Offer limited to MLB Extra Innings and requires subscription to Limited Basic service (or above) TV service. MLB Extra Innings will automatically renew at the start of each season, provided Comcast still carries the service, at that season’s full-season early-bird rate. If you wish to cancel your subscription, or do not wish to renew, you may call Comcast at 1-800-Comcast up to 30 days after being charged and receive your money back. We’ll refund the monthly recurring fee for your first 30 days of service. After the first 30 days of a season, MLB Extra Innings cannot be canceled or pro-rated. Installation payment option not available in all areas. If you change addresses at any point in or out of season, you will remain enrolled in the autorenewal program. Equipment, installation, taxes and fees, including Broadcast TV Fee (up to $7/mo.) and Regional Sports Fee (up to $5/mo.) extra, and subject to change. Limited to service to a single outlet. May not be combined with other offers. Limited Basic service subscription required to receive other levels of service. Blackout restrictions apply. Pricing subject to change. Comcast © 2017. All rights reserved. Restrictions apply. Requires subscription to Limited Basic TV service (or above). NHL Center Ice will automatically renew at the start of each season, provided Comcast Cable still carries the service, at that season’s full-season early bird rate. Your subscription will automatically be billed in 4 total payments. If you wish to cancel your subscription, or do not wish to be renewed, you may call Comcast at 1-800-Comcast up to 30 days after being charged and we will refund the monthly recurring fee for your first 30 days of service. After the first 30 days of a season, NHL Center Ice cannot be canceled or pro-rated. Installation payment option not available in all areas. If you change addresses at any point in or out of season, you will remain enrolled in the autorenewal program. Equipment, installation, taxes and fees, including Broadcast TV Fee (up to $7/mo.) and Regional Sports Fee (up to $5/mo) extra, and subject to change. Limited to service to a single outlet. May not be combined with other offers. Limited Basic service subscription required to receive other levels of service. Blackout restrictions apply. Pricing subject to change. Comcast © 2017. Restrictions apply. Not available in all areas. Limited to residential customers. Offer limited to NBA League Pass and requires subscription to Limited Basic service (or above) TV service. NBA League Pass will automatically renew at the start of each season, provided Comcast Cable still carries the service, at that season’s full-season regular rate. Your subscription will automatically be billed in 4 total payments. If you wish to cancel your subscription, or do not wish to be renewed, you may call Comcast at 1-800-Comcast up to 30 days after being charged and we will refund the monthly recurring fee for your first 30 days of service. After the first 30 days of a season, NBA League Pass cannot be canceled or pro-rated. Installation payment option not available in all areas. If you change addresses at any point in or out of season, you will remain enrolled in the autorenewal program. Equipment, installation, taxes and fees, including Broadcast TV Fee (up to $7/mo.) and Regional Sports Fee (up to $5/mo) extra, and subject to change. Service limited to a single outlet. May not be combined with other offers. Blackout restrictions apply. Pricing subject to change. Comcast © 2017. All rights reserved.